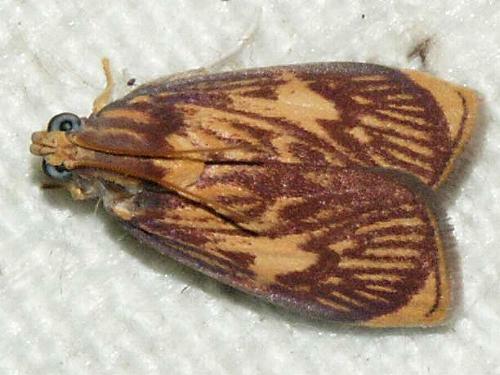 The adult moths of this species have brown forewings each with a network of dark lines, with a pale area at the wingtip. The males also have a pale splodge in the middle of each forewing. The hindwings are brown, fading towards the costas. The wingspan is about 2 cms. LeapFrogOz, Kuranda, 2015, p. 98.